I starting living in the Rockrimmon area of Colorado Springs in the 1970’s. While I was growing up there were many young families in this area. After I moved back here in 2006 and as my career in real estate evolved I found myself working in this area. I have been talking with empty nesters who have lived here many years just as I have. These folks did not need a big home with lots of stairs, nor did they want to deal with the needed yard work, maintenance and remodeling that comes with owning a older home. During these transactions I became exposed to the many complex issues that come with senior real estate. I also found out how rewarding these transactions are. Helping a senior move to a situation that offers them so much joy and activity and releases the burden of a home that no longer fits their needs is a very fulfilling experience. The bonus was often getting to know the young people that moved into the home. Northwest Colorado Springs is an amazing area perfect for young outdoor loving people. I loved senior transactions so much I sought out advanced training to help me be better equipped to help seniors in real estate. While serving seniors in Real Estate in the Colorado Springs area it is my focus to be a trusted adviser, an advocate, a skilled agent, and a friend to seniors, their adult children and caregivers. My Goal is to take the stress out of the home sale for my senior clients by increasing communication, empathic listening, sensitivity, coordination of details, and frequent contact. I am also working towards a master of Gerontology degree online from the University of Indianapolis. 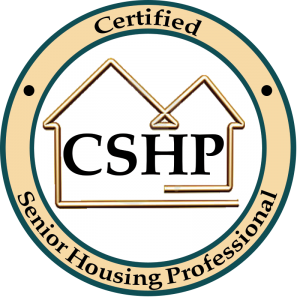 I work with a network of professionals who are “senior friendly” in the Colorado Springs area and are willing to cater to my clients and the communities into which they are moving (i.e. closing companies, movers,inspectors, insurance agents, financial planners, CPAs, attorneys, etc.). Assisting with liquidation of household belongings. Assisting or coordination of packing, moving, and unpacking/organizing. estate sales, financial advice, legal advice, real estate advice, and other details. Coordination of utility transfers, insurance policies, address notifications, etc. Liquidate their household possessions and home. Transportation related to completion of the sale — closing, postal service, notary, etc.